We are pleased to share a great review that was published in the most recent issue of Magazine Son & Image. Jean-François Lapointe’s review shows the positive results that he achieved when using our Blue Heaven Headphone Cable with the Sony MDR-Z7 headphones. Once again, our Leif family does not disappoint. You can now see Lapointe’s Blue Heaven Headphone Cable review on the Nordost website under reviews – or by clicking the link below. 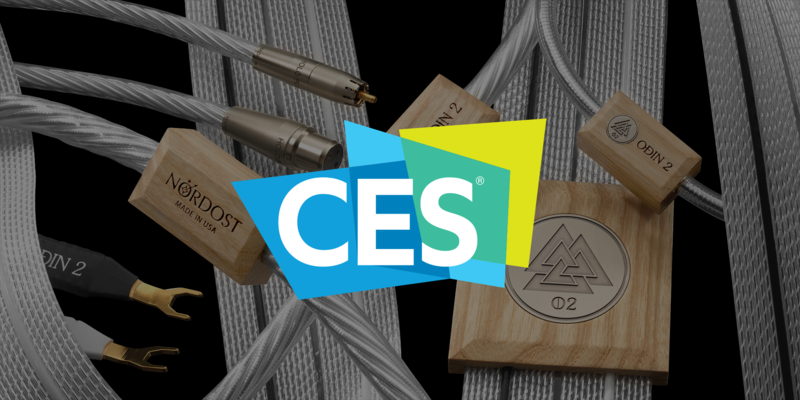 Nordost is happy to be attending CES in Las Vegas again this year. 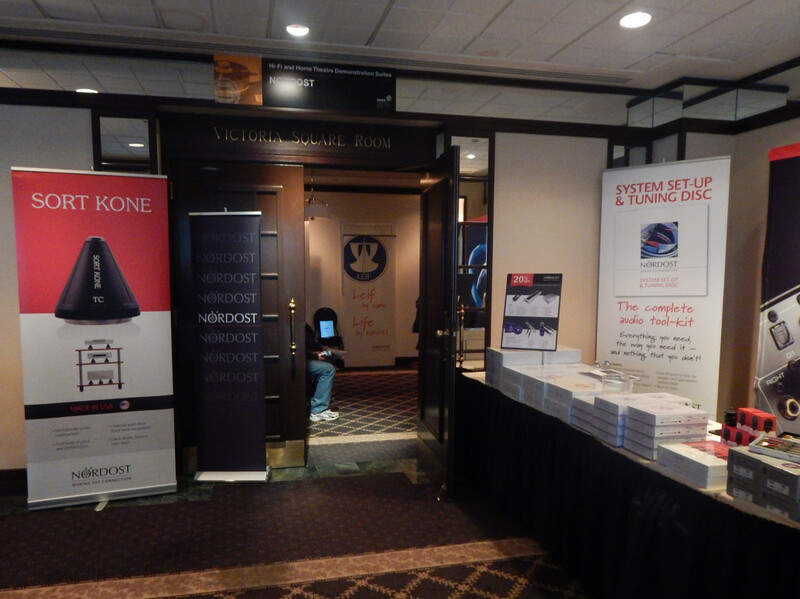 Both Nordost’s US and International sales teams and product trainers will be at the Venetian, January 5-8 on floor 29, room 136. There, they will be conducting meetings for our loyal distributors and dealers, as well as performing live demonstrations for attendees. 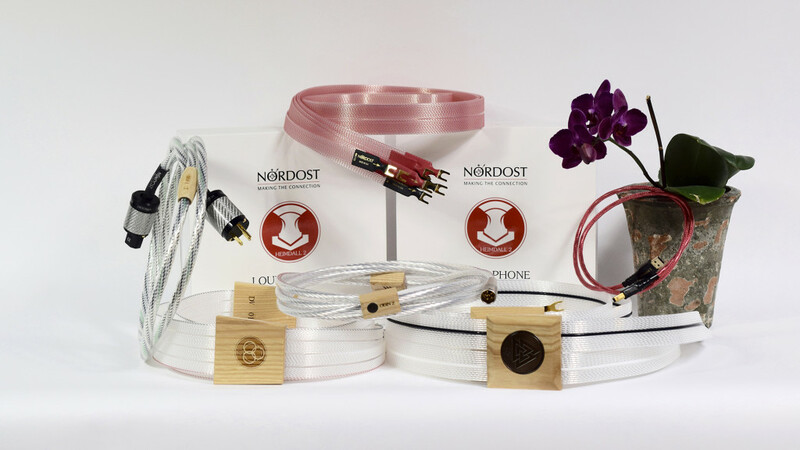 Throughout the show, Nordost will be showcasing some exciting new products that we are thrilled to share with visitors. 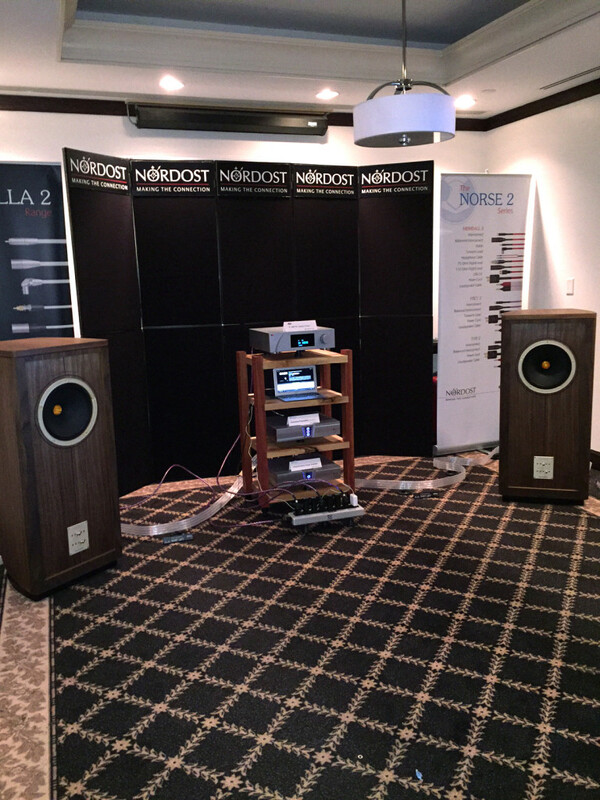 Want to attend a Nordost demonstration? 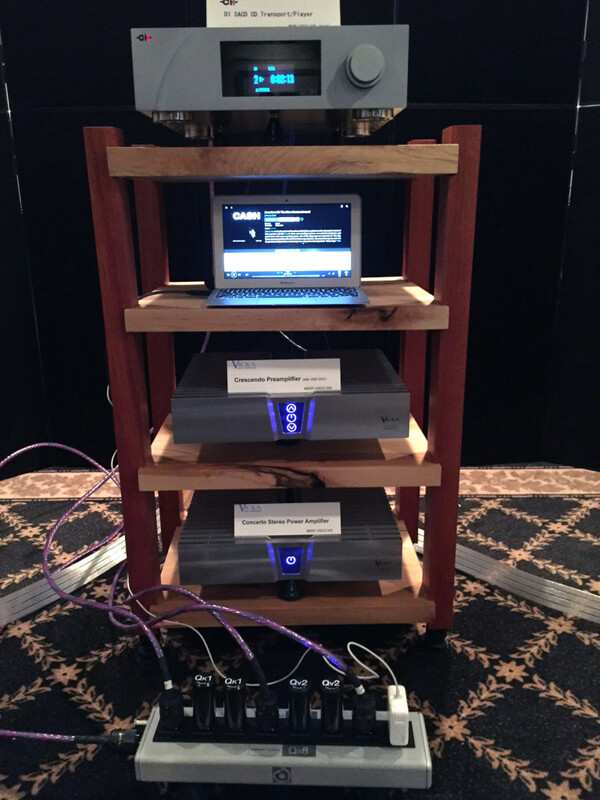 Over the past twenty-five years, Nordost has built the reputation of our products by conducting revealing, effective, and powerful demonstrations at hifi audio shows and private events around the world. 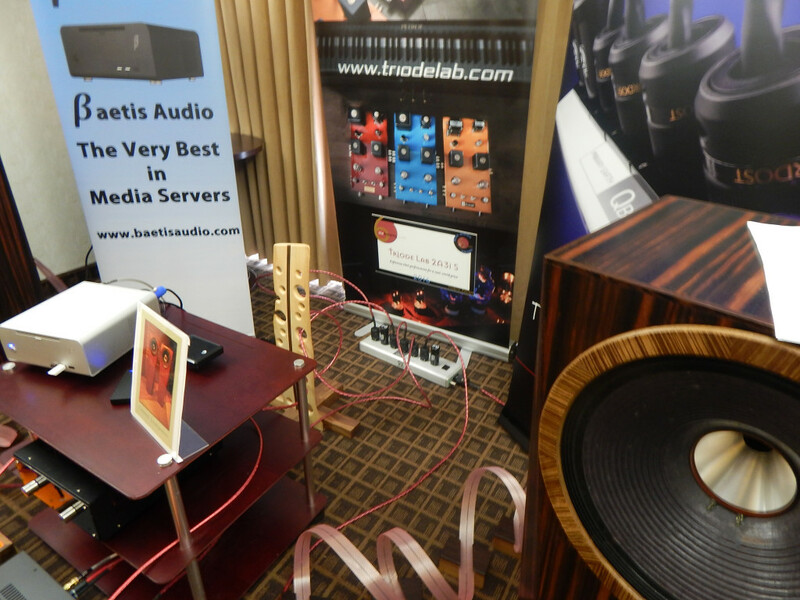 We do this not only to stand out from, and compare ourselves with, our competition, but also because as a company, we feel that the demo process is an important part of developing your hifi system. In a high-end audio system, every component is critical — cables included. Cables are an extension of the equipment they are connected to, and if you don’t have quality cabling, it can be the choking point for your whole system. Cables make a difference, and Nordost has always insisted that our customers should hear the difference for themselves. 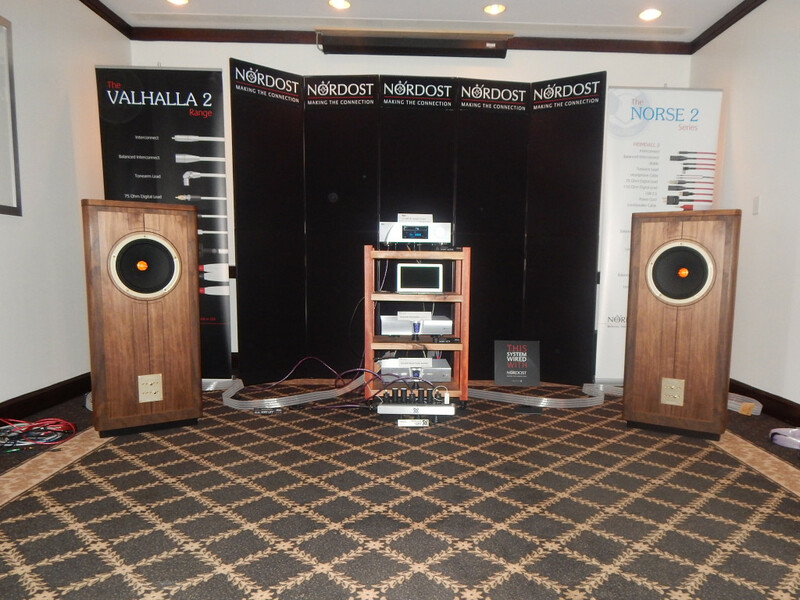 If you’d like to be notified about Nordost events near you, please click the link below! The past two weeks have been busy for Nordost! 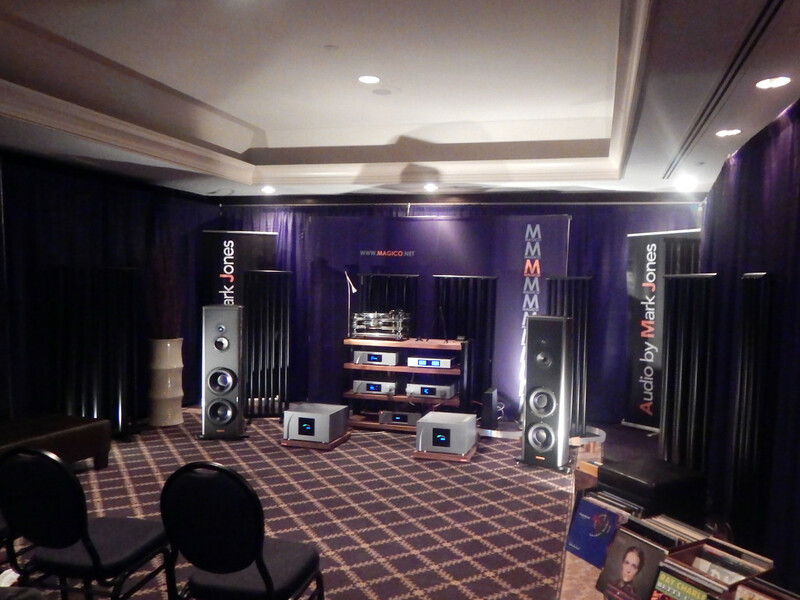 We’ve been at the New York Audio Show and at TAVES in Toronto. Special thanks to Audio by Mark Jones, Adirondack Audio Video, and Coherent Audio for representing us so well! Come and join us for a night of demonstrations, comparisons and great music! Audio Excellence, in Vaughan, Ontario, is hosting a Nordost Event as part of their “Meet the Manufacturers” series November 10th, from 4-8 PM. Nordost sales representative, Bruno de Lorimier, will be in attendance, giving guests an introduction to our line of hifi audio cables. We hope that everyone in the area will be able to visit us at the Audio Excellence showroom to hear firsthand what our transformative products have to offer your home audio system. In this blog, Brill takes a look at the Nordost Blue Heaven HDMI Cable to see how it affects the audio/video experience he can achieve in his home. Multi-Channel surround sound is great fun: turn down the lights, put on a favorite Blu-ray disc and fully inhabit the visual world of a movie director’s vision. Or listen to a multi-channel 5.1 or 7.1 audio track and get fully immersed in the music, surrounded by musicians playing all around you. A surround sound setup (properly calibrated and set-up) should include center, front and rear loudspeakers (ideally of one brand and design- here, I have 6 matching pairs of Talon Audio Khite monitor loudspeakers); a matching subwoofer for low bass thrills and ambient cues; a surround sound processor that can decode all of the latest audio modes from Blu-ray discs, (including DTS and HD Master Audio); an amplifier of good dynamic power and finally, a superior Blu-ray player that can play not only Blu-ray discs but streaming media from the likes of Netflix. For optimal performance, I would recommend Blu-ray players from Oppo Digital (www.oppodigital.com) particularly their BDP-103D Blu-ray player with optional “Darbee Technology” ($499 regular edition; $599 Darbee edition). Darbee Technology is a software breakthrough that allows the viewer to dial-in (via the BDP-103D remote) enhanced depth and realism to any DVD or Blu-ray disc. This video enhancement is quite phenomenal (if your TV or monitor delivers great black levels and detail) because it works beautifully to enhance even the smallest tactile details of a film and thus gets the most out of Blu-ray technology that is so superior (to streaming or other mediums) in obtaining a crisp and fully immersive visual experience. The final essential piece to a surround system is the quality of the cabling connecting all loudspeakers and components. The use of HDMI cables is the best way to connect your surround system components to your TV or monitor because these cables carry both audio and video signals (thus replacing the need for multiple cables). I was reminded of the critical nature of quality cabling to optimal performance in a home theater system when I recently made the simple and affordable upgrade in my HDMI cables from standard models (i.e. included by Oppo in their shipping of their Blu-ray players) to the new edition of “Blue Heaven” HDMI cables from Nordost (www.nordost.com). 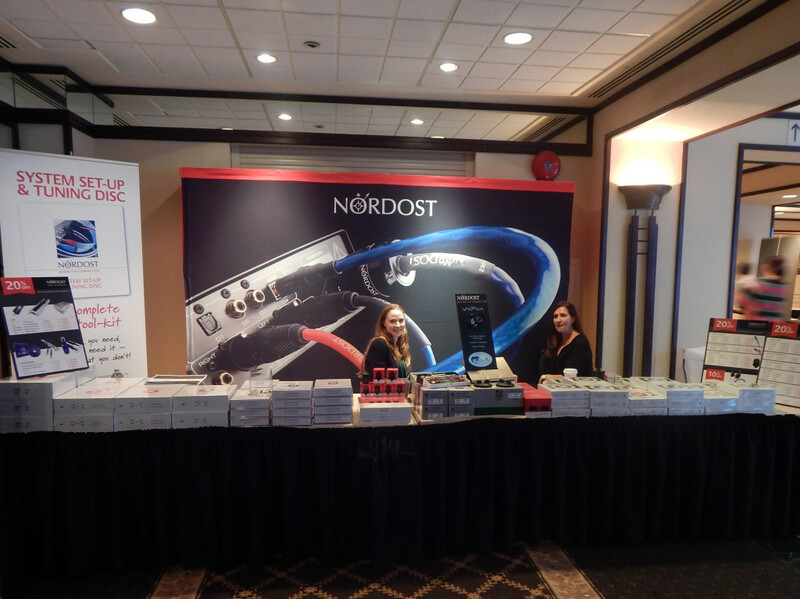 Nordost is a company well known to audiophiles worldwide as a leading high end audio and video cable company that takes pride in designing, manufacturing and hand-terminating all of their cable products here in Massachusetts. I utilize Nordost audio cables, power products and resonance control products through-out my two-channel audio systems (and will have more to report on these Nordost audio cables in their latest versions in upcoming reports). I obtained a one-meter ($349) and a two-meter length ($449) of Nordost’s Blue Heaven HDMI cables and placed one cable to connect my Oppo BDP-103D Blu-ray player to my surround sound AV controller (Integra model DHC-9.9) and the second Blue Heaven HDMI cable between the Integra to my Pioneer Kuro model PDP-5010 plasma TV (a model that is, unfortunately, no longer available from Pioneer, who departed the TV manufacturing business years ago but not before making some of the best monitors on the planet). The upgrade to Nordost Blue Heaven HDMI cables in my home theater system brought immediate visual improvements. The Pioneer Kuro models are renown for their excellent black levels and their crisp color contrasts (essential to image realism) and with the Blue Heaven HDMI now in place, there was a pronounced improvement to both the already superb depth of black color saturation produced by the Kuro. Watching the Olympic Games from Rio in HDTV, (with darkened arenas filled with thousands of spectators), was a real treat because now, with the Blue Heaven HDMI’s, the visual depth of field and the feeling of spaciousness and huge volumes of air in these huge stadiums was magnified, as was the precision and saturation of colors from every source: individual spectator clothing to the unfurling of banners around the buildings. Even the capture of the (slow-motion) fall of droplets of water surging around swimmer Michael Phelps was now much more individually captured: bright white foam contrasted sharper against neon blue pool water (as Phelps surged forth in glory through his lane). The Nordost Blue Heaven HDMI cabling also made a significant difference in enjoying Blu-ray movies played on the superb Oppo BDP-103D – even at the breakneck frame speeds of the good action movies. Take, for instance, the test of James Cameron’s Avatar in its dazzling Blu-ray Collector’s Edition release. In the chapter “First Sortie,” the addition of the Blue Heaven HDMI cables brought out the bioluminescence of the forest creatures; the plants dripping with globs of water; the wild dogs with their luminescent green eyes and the eyes of the “Na-Vi” people glowing with yellow pupils (with striations of inner veins contrasted with their deep blue bodies). In the intense flying scenes of “Banshee Rookery,” all the visible action was delivered with stunning clarity: the colors and textures of the Banshee’s blue eggs; the texture of wet feet on rocky ledges (slick with water) and the individual colors of the waterfalls and rainbows viewed from soaring on the speckled wings of the “Mountain Banshees” were precisely defined and saturated with color like I had not seen before – getting the most from the Darbee Technology employed by the stellar Oppo BDP-103 player. These same qualities of greater black levels, color saturation and precision (in frame speed, texture and visual details) with the Blue Heaven HDMI cables in place was also evident in watching the first scene in the latest James Bond movie, Spector, where the producers recreated an astounding staging of the “Day of the Dead” celebration in the streets of Mexico City. With the Blue Heaven HDMI cables, everything from the swirl of giant puppet heads dancing on parading bodies (now without any blurring of focus) to the individual cast of hundreds in the parade scenes (with colorful costumes, instruments and floats) was a mesmerizing spectacle – precise in definition, saturated with color and visually immersive to the max. Finally, testing the Blue Heaven HDMI cable upgrade with a more intimate, (visually ravishing) movie, such as the rainy scenes with Cate Blanchett and Rooney Mara in the movie Carol, the addition of the Blue Heaven HDMI cables brought crisp new detail to everything on the movie set: from the raindrops falling on all of the shiny vintage model cars to the visual details of each of the actress’s period clothing that were matched beautifully with the colors of their surroundings. In addition to these cinematic glories, I also explored the addition of the Nordost Blue Heaven HDMI cables in the context of multi-channel surround sound – a joyous adventure all its own. With a player capable of playing multi-channel discs (like the Oppo BD103 or its big brother, the BD105 with more discrete components for even better SACD audio playback), settle in with Harry Pearson’s hand-picked highlights for multi-channel sound from his 2006 Absolute Sound SACD sampler [Telarc; www.telarc.com] and surround yourself with the glory of the Atlanta Symphony Orchestra and Chorus on Vaughan Williams’ Finale from A Sea Symphony with all of the huge drum rolls like thunder and the vocals lush and immersive. With surround sound done right, the soundstage is spread out all around the listener: singers off on each corner of the stage and the orchestra laid out below in a layered and deep soundstage. Take a listen to the rich catalogues of multi-channel surround recordings from the likes of eminent audiophile labels such as: Chesky, (www.chesky.com) (favorites include Clark Terry’s Portraits [Chesky SACD 267- check out his classic “mumbles” on the amazing “Jive At Five”]; Sara K.’s Play On Words [SACD 278] (with a great duet on her “History Repeats Itself” with the late, great trumpeter Lou Soloff way back in the surround sound stage); Babatunde Olatunji Circle of Drums [SACD295] or David Chesky’s own Area 51 [Chesky SACD 288]- his Concerto For Violin and Orchestra particularly rich in its surround sound capturing of its winsome beauty in every crisp hand clap and violin swirl); Channel Classics (www.channelclassics.com (the sound of Jorgen van Rijen’s Baroque trombone nestled in the Consort Amsterdam on their recording Sackbutt a must) or the wondrous label 2L from Norway (www.2L.no) that produces Blu-ray discs and SACD’s of splendid variety and surround sound fireworks. Another favorite multi-channel recording of mine is Chick Corea’s Rendezvous In New York[Stretch Records SACD]. This two-disc wonder is filled with tactile, glittering live performances of Corea playing in wide-ranging partnership with members of his “Akoustic Band” and in duets with such charismatic greats as singer Bobby McFerrin, vibraphonist Gary Burton and pianist Gonzalo Rubalcaba. The recording is stellar: the multi-channel sound places you right in the best seat in New York’s Blue Note Club and the illusion of being in the near presence of the players and the surrounding crowd is uncanny. With the Blue Heaven HDMI cables in place the surrounding air and spaciousness of the recording increased greatly; Corea’s piano was denser in tone color and crisper in outline and all those rambunctious vocal inventions that McFerrin spontaneously combusts in this live session were much more present and alive- crackling with comedy, energy and dynamic sparkle, (without any slurring or slowing down of his rapid-fired vocal creativity). Northern Audio & Music To My Ear would like to invite all hifi lovers in the Pittsburg area to their upcoming event, “An Evening Of Tubes & Wires”. Representatives from both Nordost and Rogue Audio will be present Thursday, November 17th from 4-8PM to give insight to their products as well as perform demonstrations. Attendees will be able to take advantage of a special 20% off promotion on all Nordost products for one night only, and some lucky guests will even walk away with some Nordost giveaways! For more information, or to RSVP for this terrific event, please contact info@nax.com or call 412-931-5850.